DBCC SHRINKFILE: Page 1: 26423878 could not be moved because it is a work table page. If we try to covert page number to location in MDF file, it was 26423878 * 8 KB = ~201 GB and that was the size on which they were stuck. We were seeing same page every time we try to shrink, even after restart of SQL Server. What was the option now? Please note that you try everything out on your development server before experimenting on the production server. We need to restart SQL with a special switch -f which is used to start SQL with minimal configuration. Note: this needs downtime of SQL Server for some time as no one should connect to SQL. Start SQL Server in minimal mode from command prompt. In the SQLCMD connection, execute the following command for each one of the tempdb data files to set their initial size to 500 MB and file growth also to 500 MB increments. 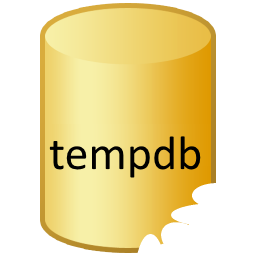 Repeat this process for every tempdb data file. Now verify the initial size has taken effect using the following query. And now, start again normally. Relax as tempdb size has been reduced. Have you ever seen such error during shrink? Did you find another way? Please note that Shrinking Database is not recommended process and it can lead to slowest possible performance. You must read this article Shrinking Database is Bad – Increases Fragmentation – Reduces Performance.